So Rihanna's hotly-anticipated 'Only Girl in the World' video came out this week and can we say welcome back to happy Rihanna? After the dark and depressing nature of many of the videos from the Rated R album, the rose-tinted Only Girl is a complete turnaround - it's a girly, euphoric fantasy, complete with balloons, flowers, fireworks, twinkly lights in trees, tutus and lots of spinning in said tutu and other frothy, girly outfits. Check the vid below and tell us your thoughts. 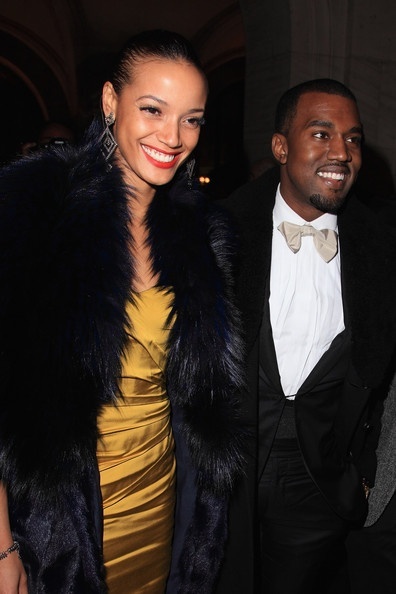 For the last few weeks, Kanye West has been seen all over the place with Cayman's own Selita Ebanks - one of our favourite islandistas from long time. The two have been papped at the U.S. Open, the New Yorkers for Children Gala and across the Atlantic in Paris last week for the Grazia Masquerade Ball. Each time, they have looked very coupley - in fact, we daresay this is the smiliest stretch for Kanye since his mother passed - even during his long on-off stint with Amber Rose, his favoured photo expression seemed to be a screw face. "His ex-girlfriend Amber Rose was very aware of his budding new relationship with Selita towards the end of their relationship. 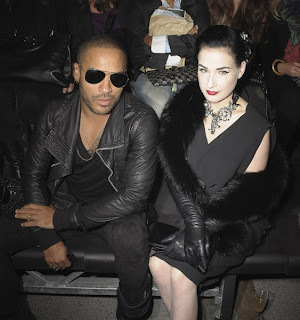 Kanye has been with Selita for over eight-months now. And Kanye's time in Hawaii was not alone, Selita was there." The source goes on to state that "Selita seems to be a good fit for Kanye" and that "Amber was leaking gossip and rumors about him to the media for a price." Anyhow, it remains to be seen what will emerge about these two but take a look at the pix for yourselves, islandistas. ﻿ ﻿﻿The SS '11 fashion season has come and gone - filled with island folk on the catwalks, in the front rows and occasionally, making the final turn as the designer. And we are ready to crown our favourite - because out of the many, many, many designs we saw this season, one small collection reached out to us and spoke to us - Jamaica/Nigerian designer Duro Olowu's eponymous line. Originally drawn to it because it showcased the talents of Jamaica's newest model find, Orenthia, we were drawn in, nay captivated by Olowu's use of colour and vintage-y prints and the exquisite lines and tailoring - the voluminous sleeves on the 70s style maxi dress and the wide, well-cut lapels on the all-black skirt suit. It is totally and completely wearable and gorgeous. Small wonder then that London-based Olowu, who came by his love of colour from his Jamaican mother, Nigerian father and Lagos upbringing, has been making waves in the fashion scene for a while now. 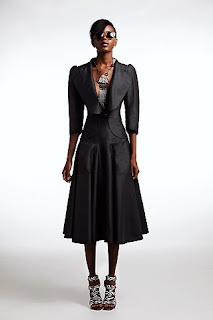 In 2005, he won the British Fashion Council's Best New Designer of the Year award and his signature 'Duro dress' was named dress of the year by both British and American Vogue. The Duro dress is one of those dresses you've seen even if you didn't know you'd seen it - a cheerful multi-patterned kimono type dress with flowing sleeves that was everywhere in 05-06. Originally a lawyer, he turned to fashion and teamed up with his shoe designer first wife on a label Olowu Golding, he created his own label after their split and struck gold with the Duro dress which was spotted first by British Vogue's Sally Singer. Since then Michelle Obama and Iman have been known to wear his designs. His Spring/Summer 2011 collection looks set to be another hit, with a mix of his signature 70s-influenced cuts and groovy (yes, groovy) vintage prints. Check out some more of our faves from his collection! As you know, sometimes we touch on some pretty serious topics here on Islandista and this one - a re-post of a piece which appeared on the very popular Clutch Magazine last week (www.clutchmag.com) is definitely one that affects us as Caribbean mothers and daughters. Read it and let me know your thoughts. What do John Lee Malvo and Germaine Lindsay have in common? The first and most obvious thing is that they were both teenaged mass murderers. Malvo was 17 years old when he joined John Allen Muhammad in the Beltway sniper attacks which terrorised the Washington D.C area back in 2002. Lindsay was 19 years old when he blew himself up on a train travelling from King's Cross St. Pancras, killing 26 people, half the victims of the London 7/7 bombings in 2005. A second, less obvious thing is that both Lindsay and Malvo are Jamaican-born – something that caused Jamaicans no end of shock and chagrin when those tragedies unfolded. But perhaps the greatest similarity I see between these two is their mothers. By the time they committed their mass killings, both Malvo and Lindsay had been living away from their mothers for a number of years. Malvo’s mother emigrated from Jamaica to Antigua and then on to the United States, leaving Malvo behind with Muhammad to take her chance in the USA. Shontelle new vid - Perfect Nightmare! Bajan songstresses Shontelle and Rihanna have been hard at work promo-ing their respective singles - Perfect Nightmare and the already-a-smash Only Girl in the World which is at number 8 on the Billboard Hot 100. Shontelle dropped the full video for Perfect Nightmare last week, while Rihanna has been dropping teaser vids for Only Girl as well teaser pics like this one on Twitter for her #RihannaNavy. Check out Shontelle's vid below!